Gardner, Colorado is situated in the Huerfano River Valley, about halfway between the Wet Mountains and the Sangre de Cristo's. 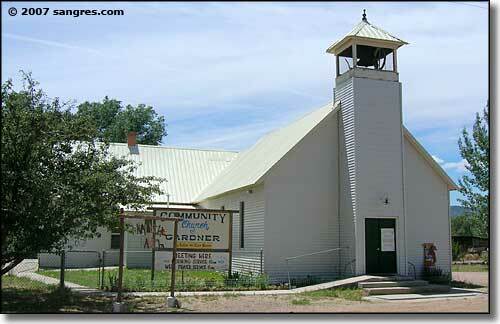 Historically, it's hard to separate Gardner from the original settlements in the Upper Huerfano Valley. This area was criss-crossed for years by Ute, Comanche and Apache hunting parties. Then came the Spanish Conquistadors and the French trappers. Zebulon Pike and a few other groups of mountain men and fur trappers came and went but there were no real settlers until the late 1850's. The Upper Huerfano really began to grow when Tom Sharp arrived in 1868 and built his Trading Post at Buzzard's Roost Ranch in Malachite. At that time, Malachite was a logical place for a settlement: next to the Huerfano River and directly astride the Trapper's Trail, (also known as the Taos Trail) which a lot of folks were using to access the San Luis Valley via the Sangre de Cristo and Mosca Passes. Sharp was an astute businessman, operating what might be called the first Army surplus store in America. The Utes loved wearing military uniforms and Sharp brought them in from England and from Union Army warehouses back East. 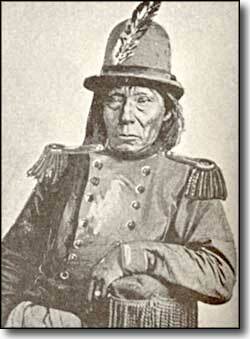 Chief Ouray and his wife Chipita were regular visitors. Sharp also brought some of the first Hereford cattle into Colorado and was known for the quality of his racehorses (he interbred them with Indian ponies). Being a cattleman, he strongly resisted the importation of sheep into the Upper Huerfano. He even went so far as to bring in sheep-hating mules to keep the sheep off his land. One of his neighbors, Capt. Charles Deus, built a flour mill and a stamp mill nearby to process the loose copper (for which Malachite was named) that was found in the area (but no minable vein was ever found). Because of the efforts of these two visionary men, Malachite was a major community in the area for many years, although today, it's a ghost town. 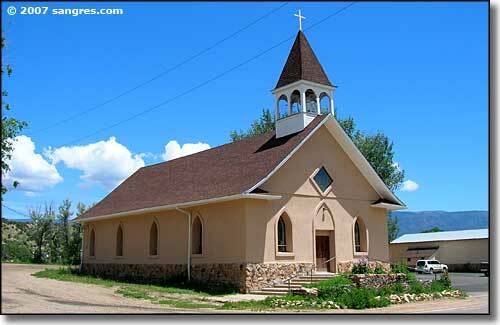 Gardner was founded along the route of the stage line from Westcliffe/Silver Cliff to Walsenburg. When Silver Cliff was a booming mining town (if only one vote had been cast the other way, Silver Cliff would now be the state capitol and not Denver), there was a lot of traffic through this area. As Gardner Butte makes a great landmark and the confluence of Muddy Creek and the Huerfano River is very close, it's easy to see how Gardner got its start. Over the years, the settlements in the Upper Huerfano faded away and most of the area's business and population shifted to Gardner. The establishment of State Highway 69, along the old stage route from Walsenburg to Westcliffe, made sure of this. The route over Sangre de Cristo Pass has almost disappeared. A large mud and rock slide in Mosca Pass closed that route to vehicular traffic. The establishment of La Veta Pass diverted all of the San Luis Valley traffic south of the Upper Huerfano Valley. And Tom Sharp's death at Buzzard's Roost Ranch in 1929 basically spelled the end for Malachite. 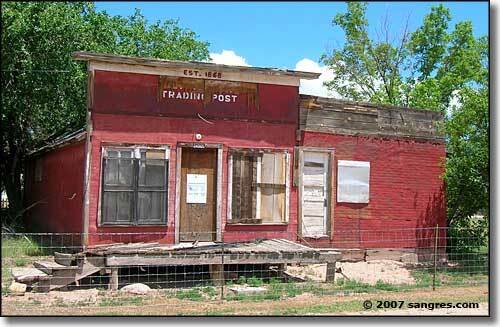 His trading post still stands and is now part of the Malachite Trading Company. In the late 1960's, the Gardner area was almost overrun by the arrival of hippie communards. All these city folk with their glorious ideals had no concept of what they were getting into, and the realities of daily life in a very rural, semi-arid area defeated nearly all of them. Libre is one community from these times that still exists but the lifestyle there is radically different from what was first envisioned in the hippie era. And many of the long-time residents of Libre are filling business and civic roles throughout the county. Today, Gardner is slowly growing. It is an unincorporated town but operates its' own schools that serve students from the whole northern and western area of Huerfano County. Highway 69 is paved its whole distance and some of the road is part of the Frontier Pathways Scenic Byway (there is a movement happening to extend the Byway from Westcliffe to Walsenburg). Just north of Gardner is where County Road 550 heads west, passing Malachite, Red Wing, Chama, and Sharpsdale before reaching the San Isabel National Forest. All around town are Forest Service access roads leading east into the Wet Mountains and west to the Sangre de Cristo's. Southwest of town is the ARCO Sheep Mountain CO2 Project.